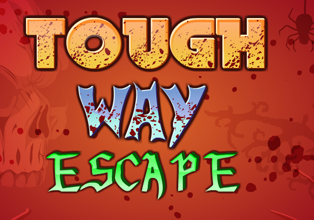 EightGames - Tough Way Escape is another point and click escape game developed by Eight Games. During his foreign trip, a tourist trapped inside tough way. There are some clues, puzzles and objects left. Find those objects and hints, solve the puzzles and help the tourist to escape out. Good luck and have fun! Sigh, stuck already. opened second room and collected lots of items. put some coloured keys on wall between vases in second room. Green key won't go. Found a spot for wrench on floor in first room right side just below red letters. how to open door first room? Good find Jenny, but now need to find out where to use SD :). Leroy you need to find a gold key. yeah been allover trying to find one..
Got so many things in my inventory that have no idea where they go! Does anyone know what the 6 grey squares are for in the second room? Six squares in second room are for picture puzzle pieces. I am still missing 2. I have 6 rooms so far. Oh no. What picture puzzle pieces? SueinSpaint, they were inside a puzzle somewhere, maybe in the 6th room. Nope, Sue, they were in a box on the floor in the fifth room. Need hammer for that. How did you get the key to enter 6th room? Use scissors on all four vases too and then click the collected flowers for 3# hint to open another door. 2 silver keys go in wall (right side) of 5th room and give remote, that opens door to 6th room. Sue, the vases give 3# hint. cut the flowers off, collect them all, then drag onto the screen for the hint. Ah!!! Thanks yvonne! I was looking for a TV. 8th room now and still collecting. Try colored keys. You need put them in order to work. Joycy, you need to zoom in on the 2 sets of colours in on the walls and then put the keys in that order. Knife is used on flower picture an on white paper in later rooms. paper pieces then go on side of chair. Is the colored squares box in the 13th room not working? I put the color scheme from room 10 in the grid but it's not right. I even turned the grid the other three ways. hmmm. Tried to use my iron bar on door and it disappeared. Hi Joycy, have you used the wrench and then then screwdriver to open the box? That gives a red key to use on the right wall to get the colour code where the 5 red buttons go. Nvm loooked from angle and saw the word..
Be careful using the iron bar or it disappears and you have to restart. Hi joycy, have you put 5 keys in? Mig, how did you do the color grid in room 13? To Rington: connect each color. Watch out for two shades of grey on the coloured spots in room 2. You need the darker of the two. how did you connect the colors? did find a pen or something? glisounik, just click the squares between two colours to make a path from one to the other in the same colour. Out finally. That was a long game but REALLY good! Best 8 game in a long time! joycy, are you moving along? help pleeeease! i'm stuck in room 8. no clue for word code next to door. Felt like the cleaning lady, but what a joy tot do it. Thanx 8Games!